Cider season has officially begun and we started off full of energy and excitement. This traditional gastronomic celebration sets the opening of our first barrel of the season, that moment we have been excitedly awaiting all year. Our cider is brewed using handicraft techniques. 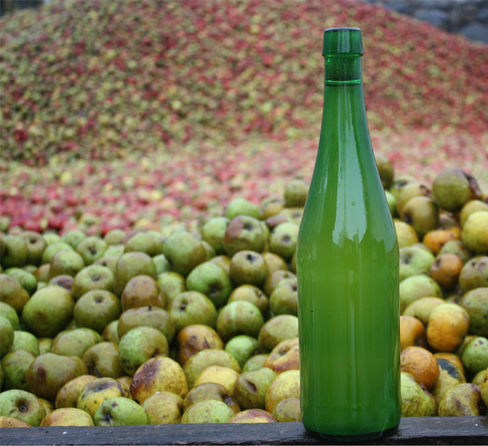 The harvest lasts from January to April, period known as Cider Season; this is the most appreciated time for the cider, since it invites people to come and taste it directly from the barrel. This delightful fermented apple juice is the spotlight of the season, named after it. However, there are other many tasty delicacies outside the barrels of our cellar. Our cherished cider comes along with an exquisite cider house menu: salt cod omelette, fried salt cod with green peppers, one grilled T-bone ribeye steak and dessert, which consists of Idiazabal cheese, quince jelly, and walnuts. In this way, what was once a tradition among small farmers and local groups today has become an eagerly awaited event. Discover this wonderful gastronomic experience that is attracting more people every year. You just can’t miss it!